FORTIS BUSINESS MANAGEMENT - Human Resources Management Division provides recruitment services to foreign companies who start their business in Romania and who are looking for qualified Romanian personnel. Recruiting can also go the other way: abroad. International companies in other countries may need qualified personnel that speak English, French or another language and on top of that have certain skills and education. FORTIS BUSINESS MANAGEMENT is specialized in this area and might be able to find the right people. Our consultants, specialized in different domains across industries, professionally "head hunt" candidates around the country through various contacts and networks. Professional screening by experts ensures that only the best candidates are retained for the selection stage. The outsourcing of this function to FORTIS BUSINESS MANAGEMENT allows the existing Management Team to focus on the business operation and profitability of the company. FORTIS BUSINESS MANAGEMENT works in partnership with its clients to provide a comprehensive solution for their manpower requirements. We have interview / conference rooms facilities within our own office premises, which are offered for conducting interviews. We can also arrange for video conferencing facilities for conducting interviews. For candidates proceeding overseas, FORTIS BUSINESS MANAGEMENT has the necessary experience in assisting and co-ordination for issuance of Visas/Work permits from local consulates, undergoing statutory medical tests, notarization & attestation of testimonials and completion of air - ticketing formalities for their departure from Romania. We provide customized recruitment solutions, flexibility in fee structures and excellent service. 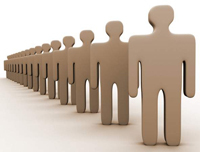 Client and candidate are treated as equal partners in the recruitment process. All information pertaining to both parties is handled with the utmost confidentiality and respect. We only refer candidates that are 100% suitable and reference checked prior to placement. Our point of difference consists in our international expertise, efficiency and individual trustful approach!